The Department of Allergy, Immunology and Respiratory medicine (AIRmed) in Central Clinical School and Alfred Health regularly produce a news bulletin highlighting their recent achievements including grants, publications, prizes, conference presentations and other news. They have won some large grants recently, from national and international granting bodies. See the May 2014 issue and previous editions at http://www.med.monash.edu.au/cecs/airmed/news/newsarchive.html. A young Australian man, who has ridden 40,000 km around the world on a bike to raise funds for international cancer research, cycled into Melbourne on Tuesday 6 May to meet scientists at some of Melbourne’s top research institutions. See video featuring Monash researchers Professors Stephen Jane, Jamie Rossjohn, Tony Tiganos and Fabienne Mackay talking about research funded by the Association for International Cancer Research (AICR). 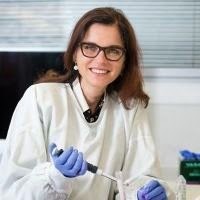 The lupus research team is led by Professor Fabienne Mackay and is dedicated to the development of new therapies to treat lupus. Professor Mackay's work has been instrumental in the development of a new treatment called belimumab. This is the first new treatment for lupus in over 50 years. While this is an advance in medicine it is only effective in a subset of patients. There is still a large number of patients awaiting an effective treatment. The team includes Dr Fabien Vincent, a rheumatologist whose research is aimed at understanding why lupus develops differently in different groups of people. Direct link to Lupus donation page. 2014 Central Clinical School Public lecture "Challenges of living well with HIV: Where to from here?"